Restoration Beauty: Another Liebster Award! I have humbly accepted another Liebster award! This time Amy from Commana My House has nominated me! Thank you for thinking of my blog Amy! I had a blast reading yours and getting to know you. I just adore your blog! 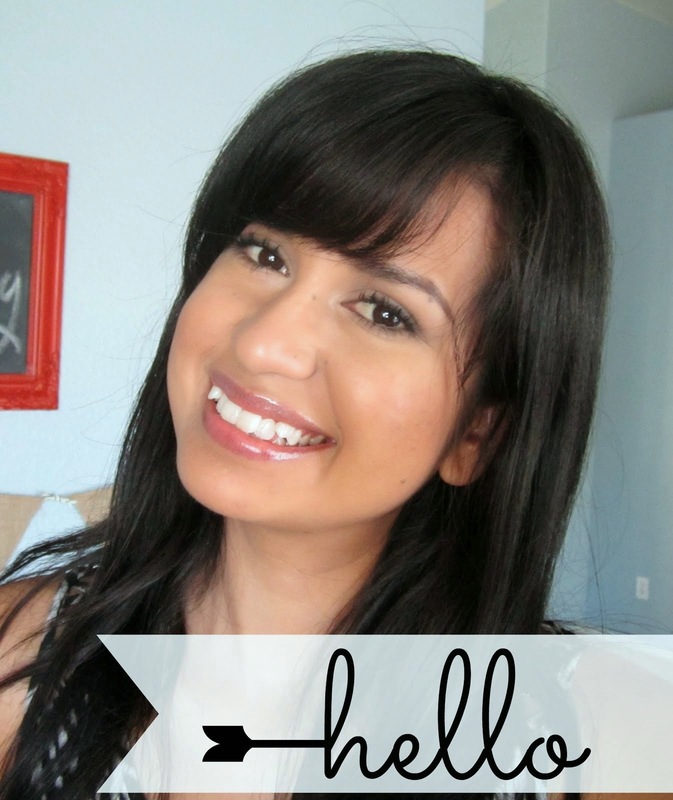 If you haven't checked out her blog, hurry hurry and check it out! It's super fabulous, full of so many awesome ideas, and just so much fun to browse through! Her posts and projects have always inspired me and I admire her great sense of style! It's always awkward to talk so much about yourself, but it's fun to see what your nominees answers are. You really get to know so many bloggers through the Liebster Award! 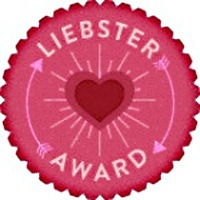 If you want to see my first Liebster Award, click here. The Liebster Award is a very cool and interactive community that helps connect bloggers with other bloggers. 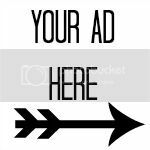 It's a way to promote new blogs that have less than 200 followers. Liebster in German means sweetest, kindest, nicest, dearest, beloved, lovely, kind, pleasant, valued, cute, endearing, and welcome. The nominees get to share facts about themselves, answer some fun questions from the person who nominated them and then nominate the blogs they love! It's kind of like a tag. The reward is finding new awesome blogs and making new friends! The nominee must link back to the blogger who nominated them. The nominee must state 11 facts about themselves, and then answer the 11 questions provided for them by the person who nominated them. The nominee must then nominate bloggers with less than 200 followers, who they think deserve the recognition, and pose 11 new questions for them to answer. They must then tell the bloggers who they have nominated about the award. 1. I can speak, read and write in Spanish...it was actually my first language. 2. I have a thing for building up other's self-esteem. My heart breaks over people who don't believe in themselves, don't like themselves and don't see themselves for the awesome unique person God created them to be. 3. I'm a youth leader at our church so fact #2 is mainly focused towards our younger generation. 4. I can make myself laugh. Weird, I know..but so true. If I need a good laugh and no one around is doing the job I just step in and give myself the fix. 5. While most see cleaning and organizing as a chore, I actually enjoy it. Just this morning I was so happy to be scrubbing down every door in our home! The "spring cleaning bug" people get every so often, I have all year round. 6. I can appreciate almost every style of decor; this sometimes makes it difficult when decorating my home. 7. I'm happily married to my high school sweetheart. We're celebrating our 9 year anniversary this May but we've been together for almost 14 years! That's half my life! 8. I am not an animal person. I can't see the cuteness other's see in dogs, cats are weird (in my opinion), fish smell, birds are loud and annoying, and reptiles..uh, no thanks! Ironically, my hubby and daughter love animals so this proves God has a sense of humor! I'm still not sure how we will to work this one out. 9.For a small framed girl, I had a very big baby. Eight pounds would have been pushing it, but Lily was born at 9.9 lbs!!! And she came out of where she was supposed to. Yeah....enough said. 10. I don't live by emotions (or let them influence me), they're too unpredictable and constantly changing. One day you feel like a nut, the next day you don't, know what I mean? 11. I did not have one creative bone in me up until I discovered Pinterest (last year). If someone would have told me 5 years ago that I would be creating, DIY'ing and crafting in my future I would have laughed! 1. What is your dream home? It would have to be a beach house that overlooks the ocean. I love the relaxed style they can be decorated with as opposed to a Victorian or Colonial home (which I think are super cool). It would have an open floor plan, a Living Room, a Family Room and a Play Room. The kitchen would be huuuuge with an island, lots of custom made storage, and a large bay window that faces the ocean. It would have to be one story (I'm not a fan of two-story's) but with plenty of room to have friends and family over for the holidays. Oh, and it would come with my very own personal chef! I can cook, but it's not my favorite thing to do. I feel like I could be painting, sanding or pasting something together instead of cooking so a chef would be heaven sent! 2. What is your favorite song and why? Off the top of my head, "With Everything" by Hillsong comes to mind. It's the portrays a perfect description of how one should serve God...with everything. 3. Who is your celebrity design alter ego? (ex: Nate Berkus, Martha Stewart, Holly Becker @ Decor8, etc). I love the way Genevieve Gorder from HGTV's Dear Genevieve is able to help her clients discover their sense of style and doesn't just slap something together that she thinks will look awesome. She takes the time to get to know the client and then creates a home that they can enjoy living in. I like what she says about home design: "designing a room comes down to finding out what gives you joy.."
Hmm...Probably my China Cabinet Gets a Dose of Chevron Stripes. It was a lot of work but so worth it! I enjoyed sharing it with others and it got a feature in several blogs which always puts a huge smile on my face! Rain On A Tin Roof: Jenna seems so fun and down to earth and you can see that translated in her projects. Some of my favorites have been her chalkboard wall, her DIY wall art (especially the one with the Elephant) and her DIY Corbel Shelving. I also really enjoyed reading her "About Me" page...so fun! Clever Nest: I just found this blog over the weekend but it was an instant favorite. Alyssa is so funny and sarcastic (something I've always admired in people) and makes the best of what she has, like the time she made a flower arrangement out of tissues! Super cool and unexpected! Clean and Scentsible: Jenn, in my book, is the queen of house cleaning, storage and organization. I love The Organized Household Diet series she has...amazing! She has many clever ideas on the subject and just seems like she would be so easy to talk to over a cup of coffee. We would of course talk about how we can make this world a cleaner, more efficient, organized place! 6. How long have you been blogging and why did you start? I've been blogging for almost 2 months now and enjoy it so much more than I imagined I would! I've always enjoyed sharing what I'm into with others. I love to give tips, recommendations and advice, so naturally blogging seemed like something I'd enjoy. I've wanted to blog for about a year but just sat on it, until I finally said, "I'm just going to do it!" I published my first post and there was no turning back! I love the people it has connected me with! It's been such a neat experience. 7. "I'll ----------- if it's the last thing I do". 8. Best vintage or decor find of all time? I'd have to say my 3 lanterns. They add so much interest to our living room and I love that you can always change what you display inside it. 9. What is a home trend that you have tried/followed that you've regretted? What I like to call the "getting my home to look like something from a picture catalog" trend. I've realized that it's boring, expected, looks "not lived" in and fails to translate who you are to the people. For so long I just copied a style I saw on a picture, rather than exploring my own sense of style. I'm just now starting to undo the damage. And I will get to capture the progression on my blog! That's why I love reading other's blogs and seeing how they make a house into their home. It says a lot about who they are, what they love and how they live. Definitely Alexandre Dumas. The Three Musketeers is still my all time favorite book! I love the adventure that it takes me on! 11. Favorite Pattern? Chevron all the way! It's trendy but can still be sophisticated if done properly. Love, love, love it! 2. Salty food or sweets? 4. What are your favorite type of books? 5. What do you enjoy the most about blogging? 6. What is the project/craft/post you are most proud of? 8. Most embarrassing blogging moment (if any)? 9. What is your favorite home decor/DIY/ crafting/beauty tip? 10. What is one thing you want to accomplish in the next 5 years? 11. What is your greatest memory in life? 3. Hazel at Which Hazel? That's all I could come up with..I nominated over 10 on my first Liebster Award! I can't wait to read all your answers! Let me know when your post is up so I can have the privilege of reading it! Have fun ladies! that was so much fun to read!!! 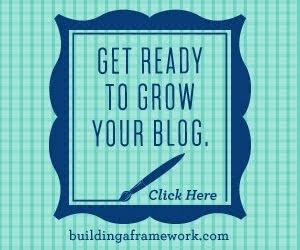 I didn't know you have only been blogging for about 2 months! I'm pretty new too, so glad to have connected with you. I loved reading all of your answers. I think it is a lot of work to do the Leibster post, and hard to write about one's self, but it is such an insight into who you are/why you blog, etc. We have so much in common: beach house, Gen Gorder, Chevron! Fun to get to know you better! Thanks!! Hi Selene! I was trying to leave a comment on the last post, with the nautical rope vase, but I'm having trouble for some reason....maybe it is me?!??! I just wanted to say that I love that idea, wanted to try it for my son's "nautical" birthday and never did. Now I really wish I had!! They look beautiful. It's my pleasure Shandy! I love your blog and can't wait to read your facts and answers!! I'm super happy about being connected with you as well! Will be keeping in touch! Thank you, Dawn! Sorry about the problem with the commenting. I'm not sure why it wouldn't have let you...But I'm glad you came here to leave a comment! Thanks for following! I follow your blog, too and just love it! Will be keeping in touch!